Marine Protected Areas managers throughout Belize that also manage shorelines are adding a new monitoring protocol to their annual workplans: monitoring the beach profile. This is part of UNESCO's SandWatch program that helps managers monitor changes in shorelines which can be caused by climate change which can impact sea turtle traditional nesting grounds. 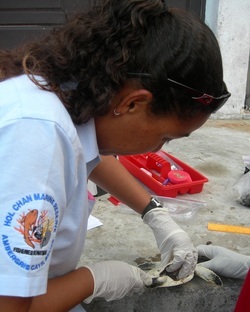 In collaboration with many partners, ECOMAR organized a nationwide Sea Turtle Training Workshop in 2011. While there is demand for annual workshops, resources for venue, travel are currently unavailable. Through the Belize Turtle Watch Program many materials were developed under the project that are available for coastal property owners who would like to assist in monitoring their beaches for sea turtle nesting activity. We also recommend the establishment of Sea Turtle Clubs in coastal communities to monitor beaches and keep them turtle friendly, and that interested persons and organizations Adopt a Beach. The Belize Turtle Watch program produced educational materials that can be used by coastal residents to aid them in monitoring their beaches and includes posters and fact sheets. Marine protected area biologists from throughout Belize will return to their MPA and apply the lessons learned with their colleagues and collect data on their nesting beaches and foraging areas for inclusion in the updated Belize Sea Turtle Recovery Action Plan. Nesting beach characterization training allows organizations to monitor changes in beach profiles that may be due to climate change. Kirah Forman, biologist from Hol Chan Marine Reserve, leads necropsy of sea turtles at the biologist training workshop. 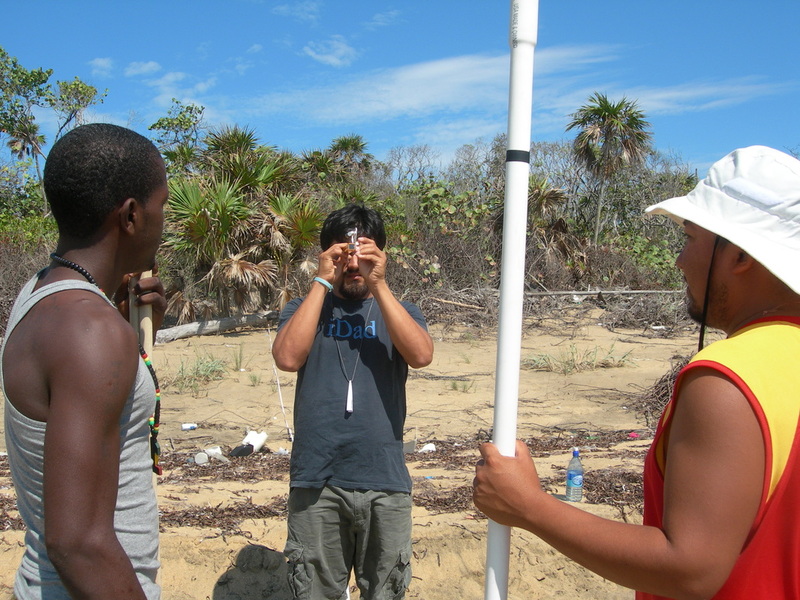 Roberto Herrera from ECOSUR in Mexico leads the nesting beach surveys and showed participants how to locate and relocate nests.